Who is JUMPERZ? We’re a complete custom connectivity manufacturer with well over a decade of manufacturing experience, just minutes from the heart of Motown. 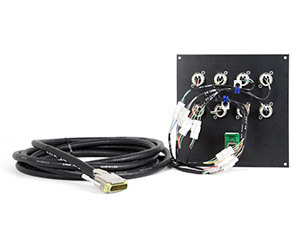 We’re a complete custom connectivity manufacturer - we just love connecting all of your audio tools elegantly. Deeper than microphone, instrument, patch cables and DB25 harnesses, we’ll even craft patch panels, breakout boxes and crosspatch stage systems to immaculately tie everything together exactly the way you want it. With well over a decade of manufacturing experience and just minutes from Detroit - the heart of Motown - our products are born in the USA. 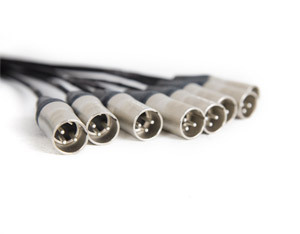 All our cabling is lovingly handcrafted from our own proprietary custom spec wire and married to the world’s most trusted connectors with silver solder. Sprinkle in smart, field tested design with a fanatic attention to detail and you’ll recognize that our cables are built to outperform and outlast the competition. 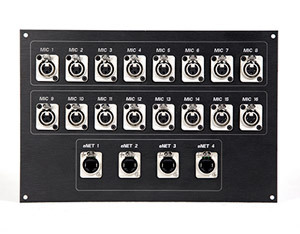 Deeper than microphone, instrument, patch cables and DB25 harnesses, we’ll even craft patch panels, breakout boxes and crosspatch stage systems, to immaculately tie everything together exactly the way you want it. Located just minutes from Detroit, our products are born in the USA.